This flashy neighborhood can often get a bad rap from serious music lovers. 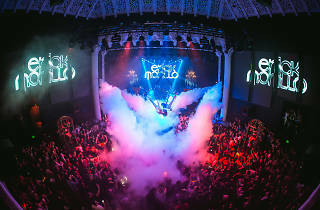 But our list of the best clubs in Hollywood is the cream of the party-spot crop, whether you’re looking for a chill after-hours locale to wind down with a cocktail, a vibrant gay party laced with free drinks or a massive dance getdown where pretense is checked with the coats. Read on, party people. 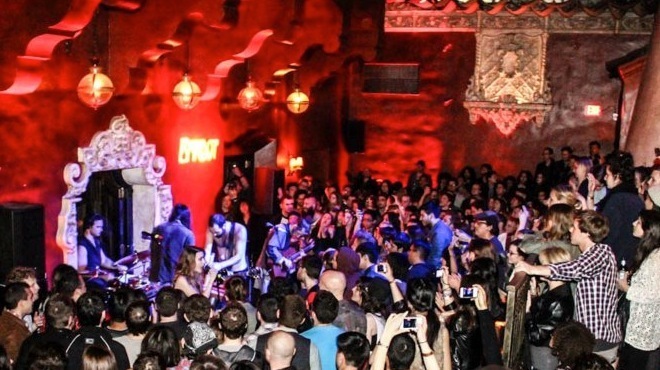 Completed in 1927, this cavernous theater remains L.A.’s preeminent superclub. Avalon’s nearly 100-year run is a feat in itself—how on earth does such a space maintain its staying power? Most likely, by offering exclusive perks you can’t find anywhere else. 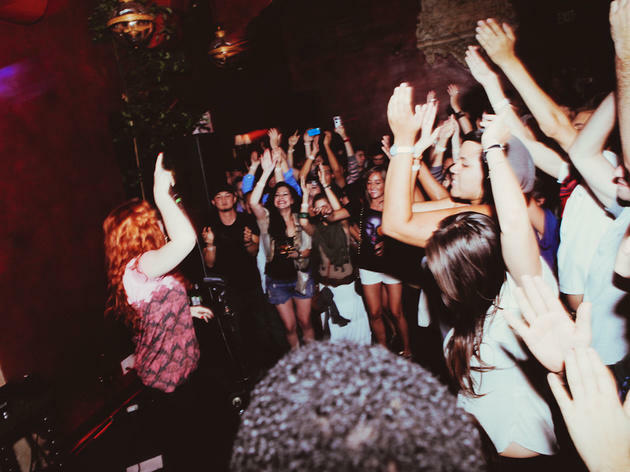 To start, Avalon is the only club in L.A. to have a 24-hour license. That means a non-stop offering of weekend-long fiestas, and a bar that re-opens at 6am to reward those who danced all night. 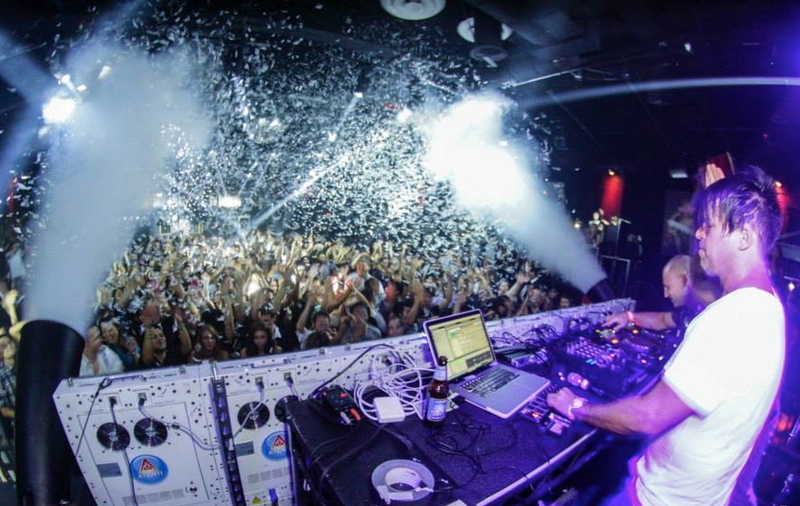 The club also has a stronghold when it comes to booking global DJ phenoms. 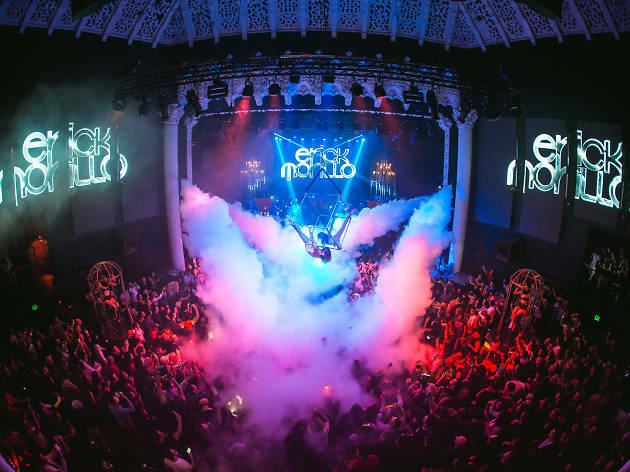 Factor in its sheer size and its custom sound system—which delivers one of the most delightfully chest-thumping experiences in L.A.—and you’ve got a legendary space that’s ready to party whenever you are. Play with the pop tarts at Tigerheat, the Thursday night jam for the 18 and over, polysexual set. Or hit up Control on Fridays for more underground-driven house and drum and bass sounds. There’s nary any trance, so leave the glow-sticks at home. And bring earplugs: the venue boasts the best sound system in the city, a floorshaking EAW Avalon Series set-up that cost a cool $1 million. 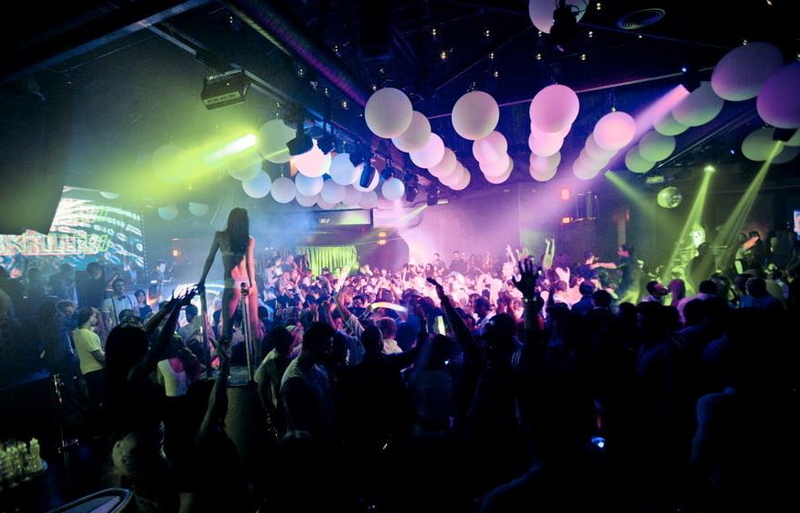 Located above dance powerhouse Avalon is its far classier sister lounge, Bardot. Decorated to look both upscale Art Deco and laid-back Moroccan harem, this intimate venue typically draws an attractive mix of hipsters and young Westsiders. The intimate spot makes for the perfect after-the-after-party landing pad: neither sprawling warehouse nor dank drug den, this 300-capacity, indooor/outdoor space is a sweet setting to nurture your fragile after-hours party state into sunrise. Drop in for one-off parties that run from 4am to 7am (at that hour, crowds can’t afford to be pretentious and Bardot is as welcoming and good natured as they come). Catch the sunrise over the Capitol Records building via the club’s retractable roof or join the party at a more reasonable hour, with Friday’s Frenzy party and the long-running School Night! on Mondays. 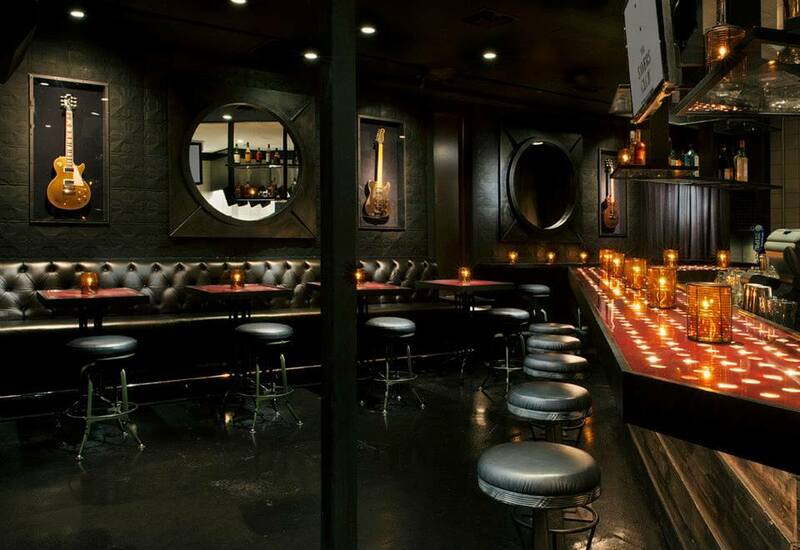 No matter the hour, Bardot attracts a musically educated, no-judgments crowd. Drinks are good yet pricey, and bouncers are relatively friendly considering the central Hollywood location. Formerly Create (and before that Vanguard), this space from Insomniac (creators of the rave-tastic Wonderland and Electronic Daisy Carnival festivals) books both emerging DJ talent and high-profile EDM artists. The three-room, 20,000 square foot space features an epic soundsystem and Hollywood’s largest LED wall. Those looking to downshift and desensitize can find respite on a tree-lined patio illuminated by simple strands of party lights. 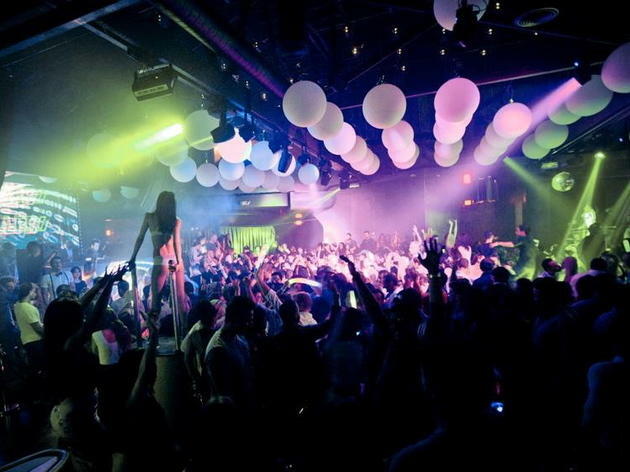 Though this major production of a club may not seem like the type to forgo bottle service at private tables for a general admission and open dancefloor format, versatility is found in different club nights, making it not only a great place to pop bottles in booths, but a bonafide space to sweat it out to EDM festival trance and house headliners. 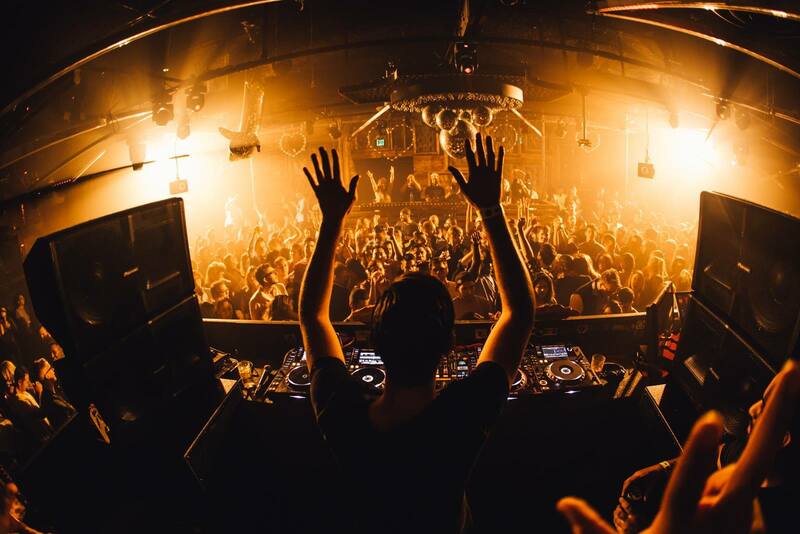 Sound has made a name for itself among serious househeads and music lovers by delivering high profile acts that were doing dance music well before EDM hit the top 40. Sure, the space has the making of a typical Hollywood super club scene: 8,000 square feet of playspace with a sunken dancefloor and elevated DJ booth, fancy 3-D mapping visuals and a custom Funktion One soundsystem. But where it emerges ahead of other Hollywood clubs is by focusing on the music (hence the name), not by flaunting celebrity patrons or by playing into the hottest bottle service contest. 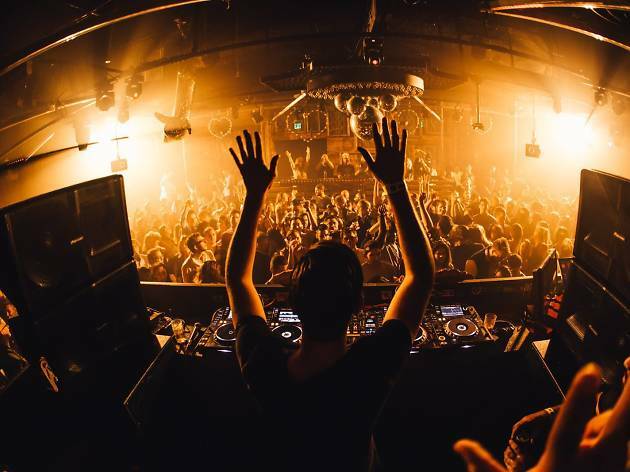 The 500-capacity crowd basks in perks such as burlesque dancers, impromptu celebrity visitors and a frequent 4am closing time, all without the overcrowded feeling of a mega-club. 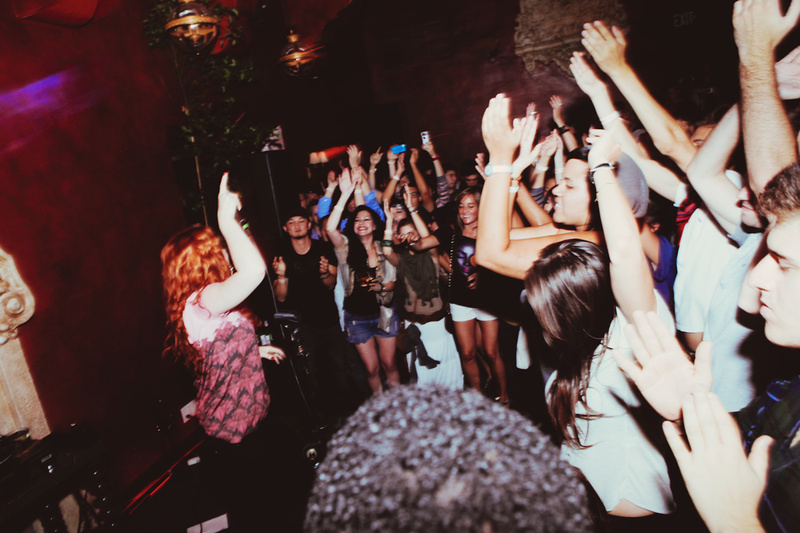 Live music fiends used to get their fix by entering the Sayers Club via an unassuming hotdog shop. 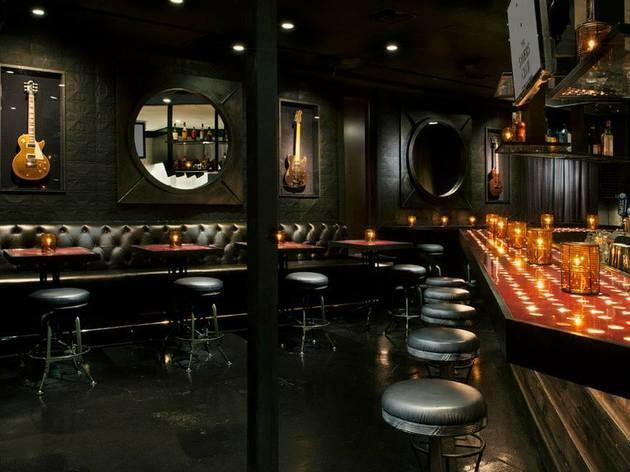 But SBE has commandeered the former Green Papaya to make for a more grown-up precursor to the Sayers experience by creating the Front Room: serious music lies just beyond its back wall. 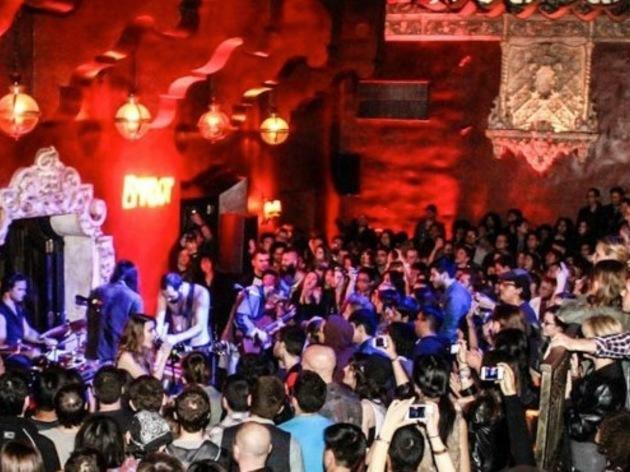 The actual club is a place where cozy Turkish rugs are piled atop hardwood floors, whiskey leather couches, exposed brick walls and industrial touches make for a cozy (and exclusive) mancave away from home—well, if that man cave happened to belong to the most connected music buff in town. Expect drop-ins from celebrities and performances from beloved groups and impossible-to-see-the-outside-of-an-arena musicians. By the sheer look of the place Lure has the making of another slick Hollywood club, where bottle service and bodycon dresses spur a sit-and-stare vibe. Consider the pulsating LED walls, galaxy of glowing moonlike orbs that hover above the dance floor, gorgeous honey-lit VIP bar and elevated DJ stage—all framed in a massive open room where everyone and everything can be seen. Then, venture out to the expansive patio, where you’ll find winding, white tufted banquets in cabanas framed by green, living walls. The hostesses are remarkably hot, and beautifully lit palm trees and footbridges over ponds also disorient—it almost feels more like a 5-star resort than a Hollywood club.